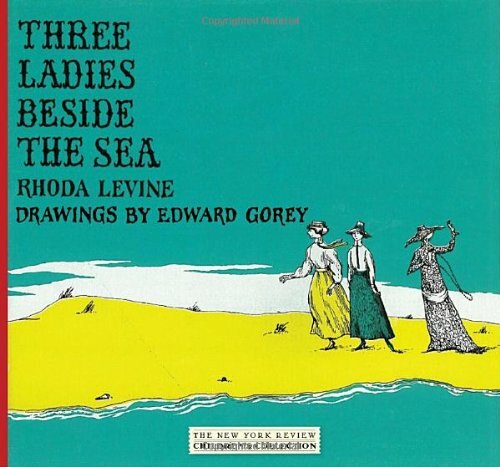 Three Ladies Beside the Sea was first published in 1963. Edward Gorey’s stylised but strikingly expressive drawings have stood the test of time, and many readers will value the book for those drawings alone, especially in such a handsome hardback reissue. To search and to scan the wide sky. This is not poetry, it is doggerel. There is none of the vitality of true poetry, and none of its heightened intensity. Just flat language, predictable rhymes, and lumpen rhythms. Try reading it aloud, and you will find it almost impossible to happily marry scansion and meaning. It could be argued that the text is playful nonsense in the Lear tradition, but to read it side-by-side with Lear simply emphasises the huge gulf between Lear’s irrepressible readability and inexhaustible relish for language, and Levine’s timid surrealism. For Edward Gorey fans only.